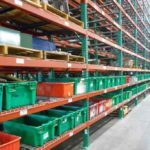 When you have large numbers of records storage boxes leaving your warehouse daily, the speed and efficiency of your rack system is of the utmost importance. 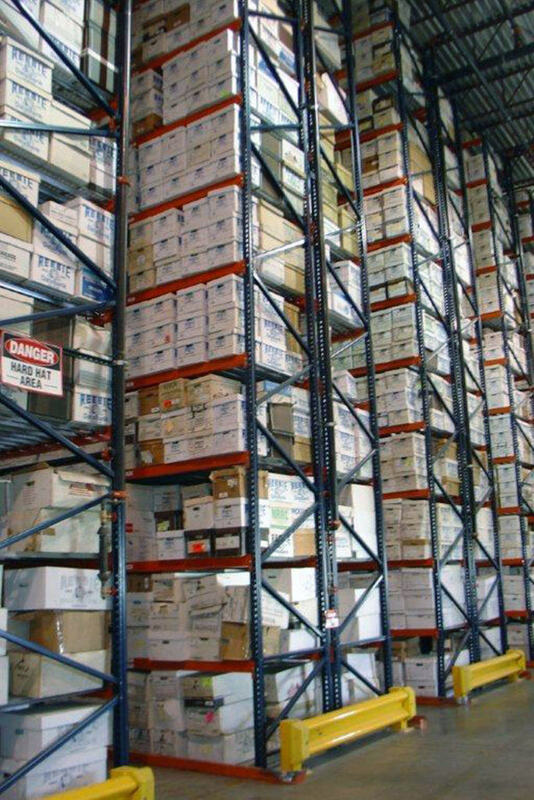 In records centers with high order volumes, the right storage system can ensure that items are easily and safely accessible, so that your team can locate them quickly and get orders filled. In an order picker, or single level system, cartons are accessed by an order picker vehicle. 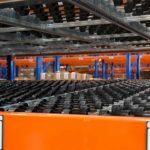 The maximum height of an order picker system is less than that of a multi-level catwalk system, which is also widely used in the records storage industry. 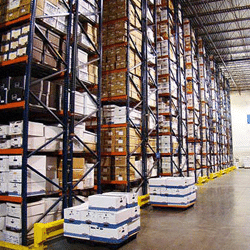 Aisle width and stability are concerns in systems around 30', therefore it is not always recommended to go that high. Additionally, it is difficult to find a steady order picker vehicle once you reach the 30' mark. 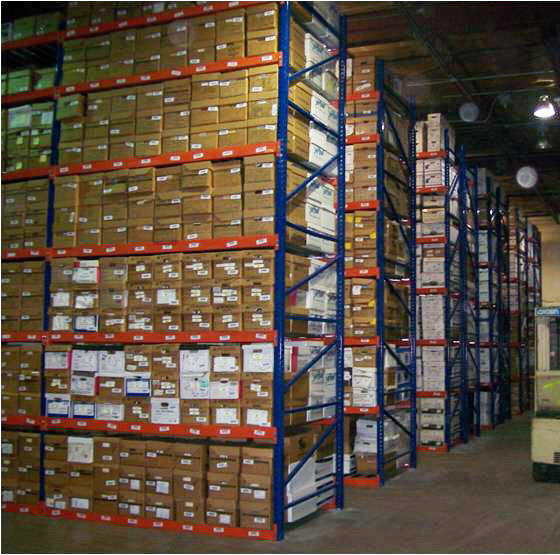 Order picker systems utilize pallet rack and store an estimated nine or ten boxes wide x three or four deep x three or four high per shelf. 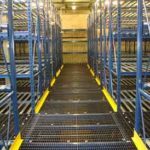 These systems require less time for permitting compared to multi-level catwalk systems and have reduced lighting and in-rack sprinkler costs. 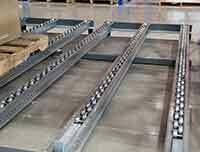 Minimum service aisle widths will vary based on customer’s lift equipment, typically between 4' – 8'. Shorter systems can be serviced by ladders. Tunnel bays can be created to allow for more efficient traffic flow. Height of systems vary based on building clearance, can be over 40' tall. 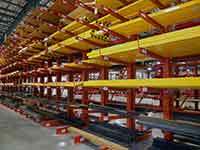 DO YOU NEED ORDER PICKER RACK? 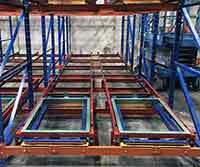 If you need a complete order picker rack system, we can help. 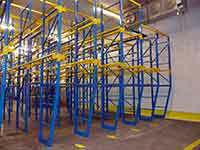 We've been creating high density order picker storage systems for more than 50 years.